Congratulations to the December youth winners! 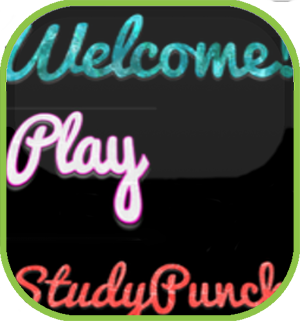 Ula, from Austria, created StudyPunch, to help students feel more involved in their learning process. 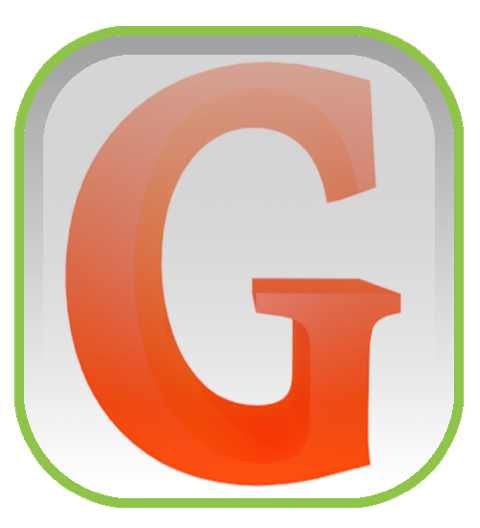 Her app features German grammar questions that provide the knockout punch for test prep! 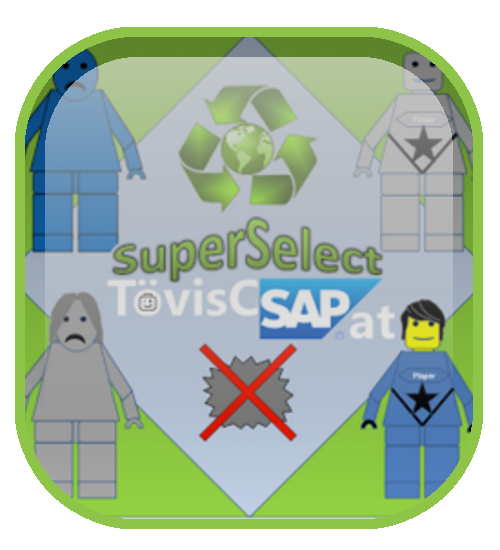 Another student from Austria, Federico, wants to create something revolutionary. He is off to a good start with his alarm clock app that requires the user answer questions before it shuts off the alarm. 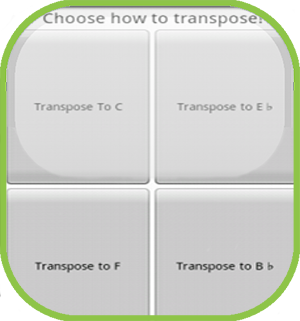 Saxophone player and app coder Brian from South Korea, decided to mix his two passions by creating a useful app to help him transpose notes for playing music. 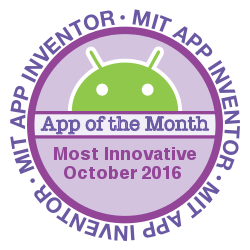 Three Italian students teamed up to make this comprehensive app to digitize their local library. 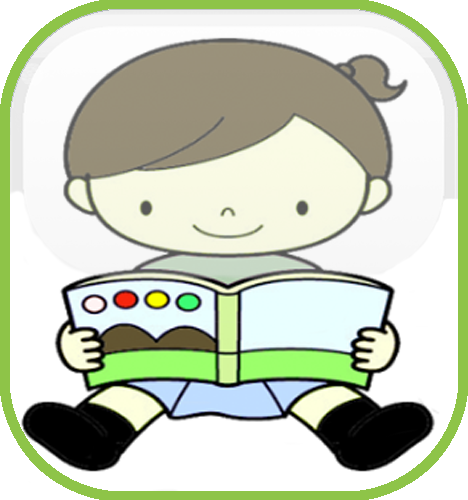 The app allows catalog access and book checkout, all from your phone or tablet! Congratulations to the December adult winners! 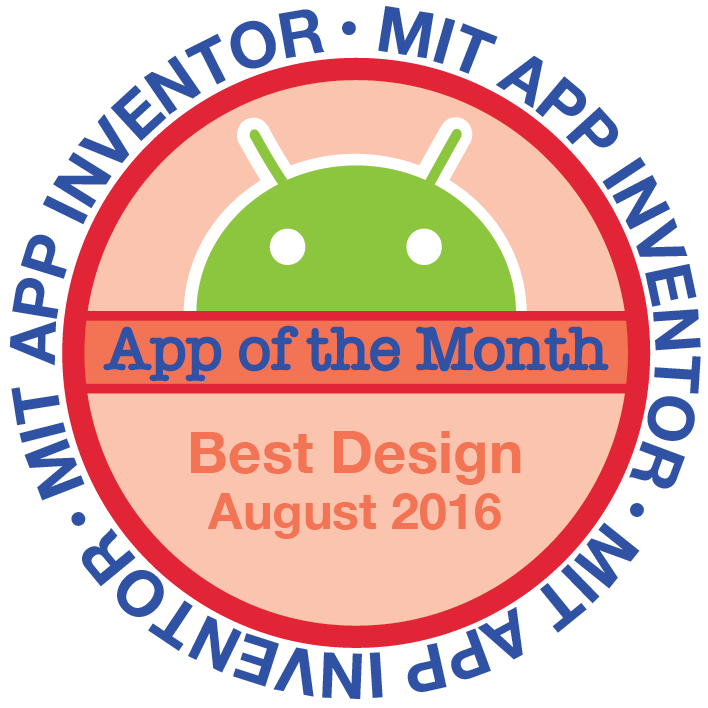 Brazilian Computer Science student Emerson made this excellent note taking app as an example for a mini-course he is teaching on App Inventor. 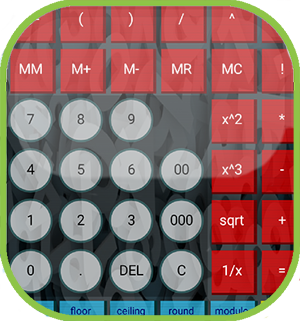 This Calculator app was created by German cardiologist Jörg, who brushed up on his old coding skills to create this comphrehensive app. 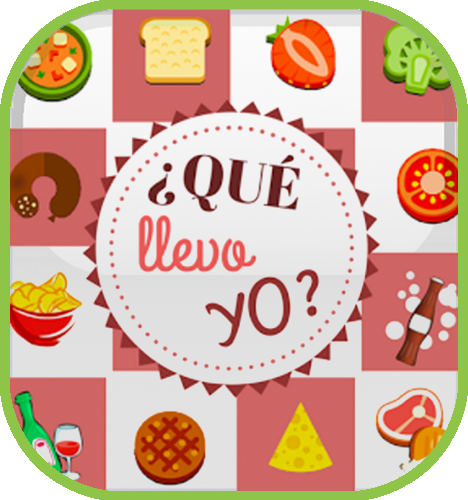 Spanish couple María and Angel leapt into coding with this fun app to teach their two young daughters some Spanish/English vocabulary. 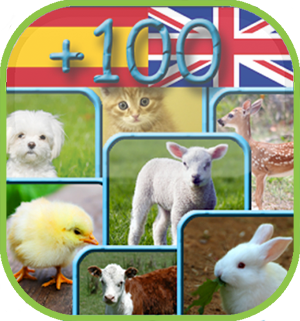 Every child loves animals, so that's the theme of this extensive app. 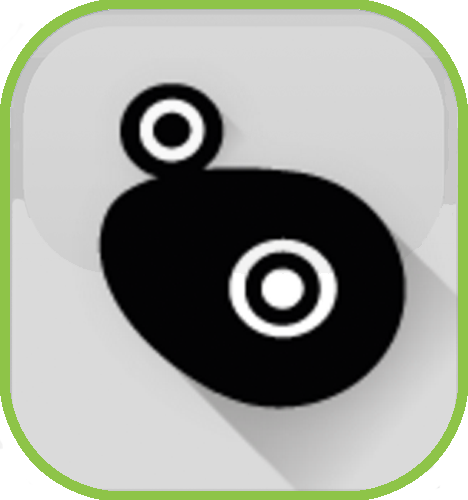 Floppy Bubble is another first foray into mobile app development by Bulat, from Romania. 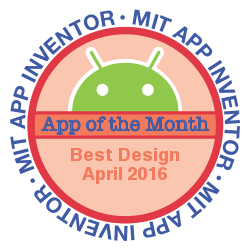 He decided to experiment with App Inventor and created this highly addictive game. Congratulations to the November winners! Romanian student Bogdan created a versatile app, Randomizer, with several features. 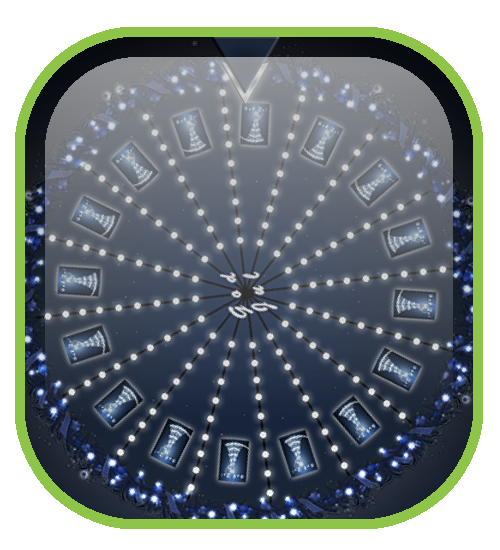 It generates random numbers, lists, and coin flips. It also includes a color picker and a date picker. 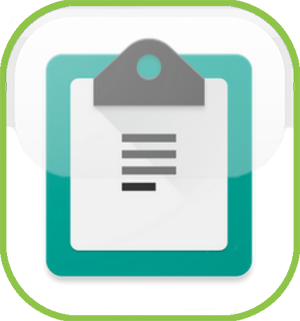 Simple Notes offers an easy and intuitive way to take and store notes. 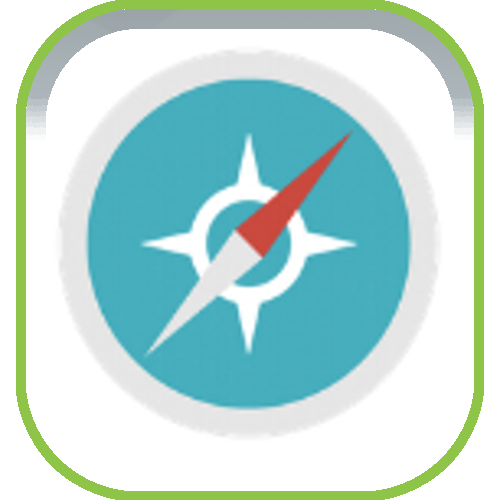 It makes creative use of user interface components to create an elegant and customizable interface, which allows the user to set their desired font size and color scheme, and to require a PIN for access if desired. 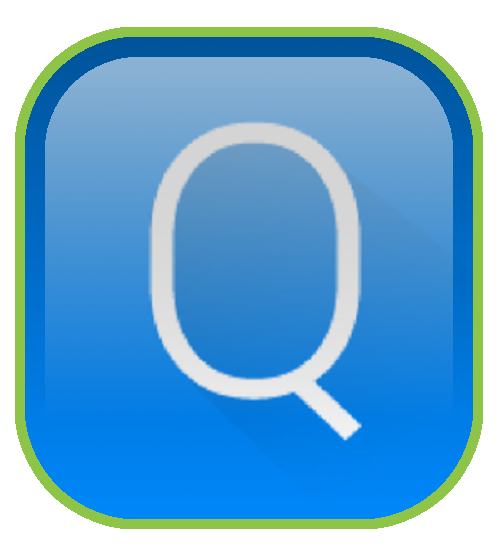 Qoogle quizzes users on their knowledge of Google search shortcuts, using multiple gamification elements—including points, a timer, and a global leaderboard—in order to keep them engaged. 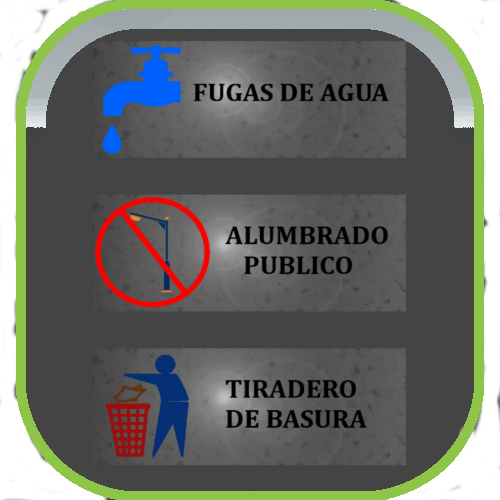 These elements are integrated seamlessly into a sleek user interface that makes good use of layout, color scheme, and sound effects.
. Jose, from Colombia, created a practical method for children and adults who are starting to read the Spanish language. 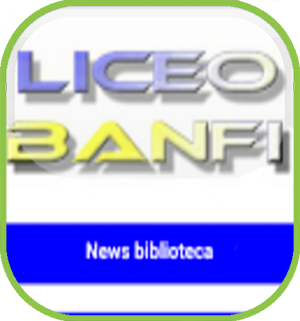 He created the A Leer Niños for his son, who is learning to read. 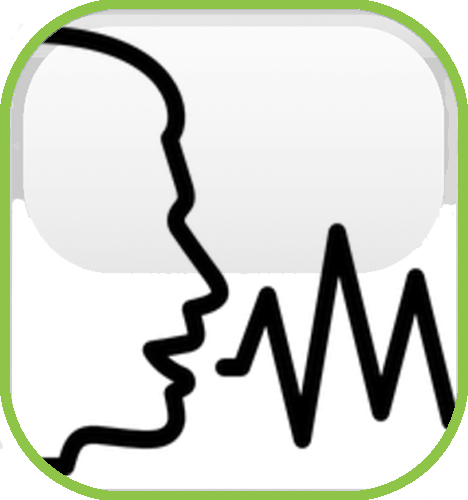 The app uses recorded phonetics to help the user learn sounds, words, and sentences. Congratulations to the October youth winners! Congratulations to the October adult winners! 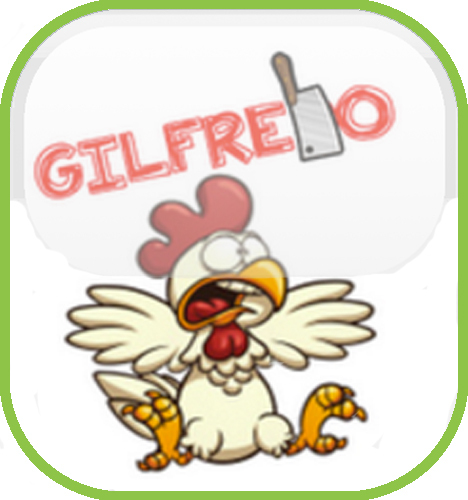 In Gilfredo, the chicken has to move quickly to avoid the hatchet! 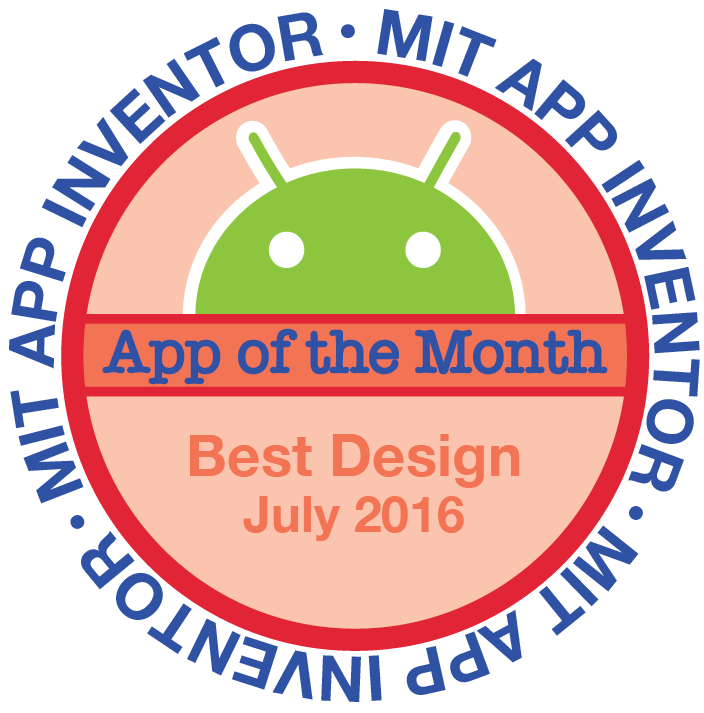 Ricardo, a coding teacher from Brazil, made this fun app. 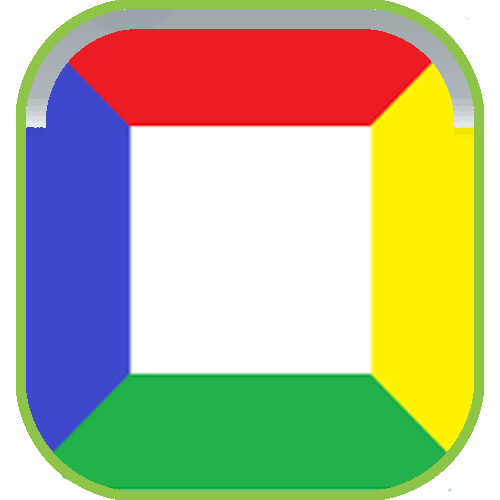 Necmettin, from Turkey, created a simple but fun app that takes the Paint Pot app to a new level with mirroring in all 4 quadrants. Brian, from Germany, got his inspiration for Cloq from his daughter. 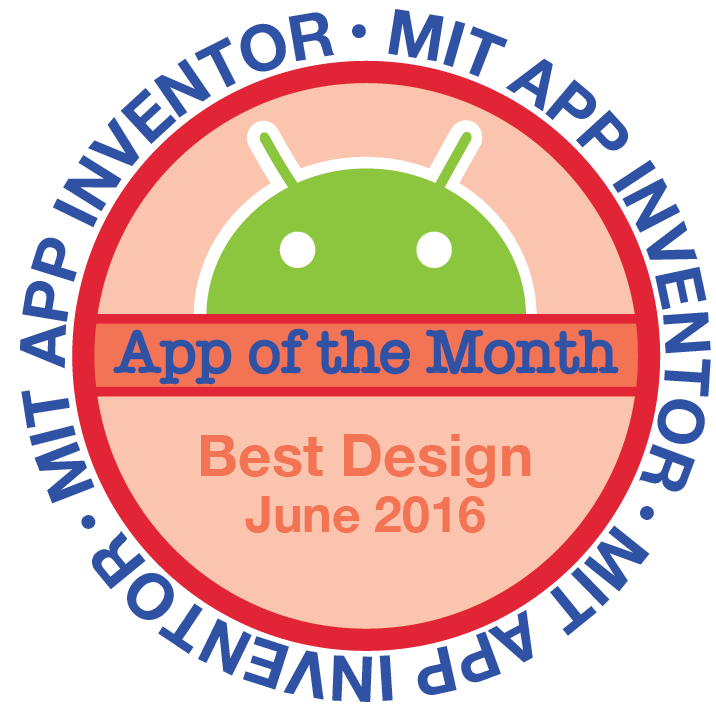 She saw this clock on the internet so Brian decided to see if he could make it using App Inventor. 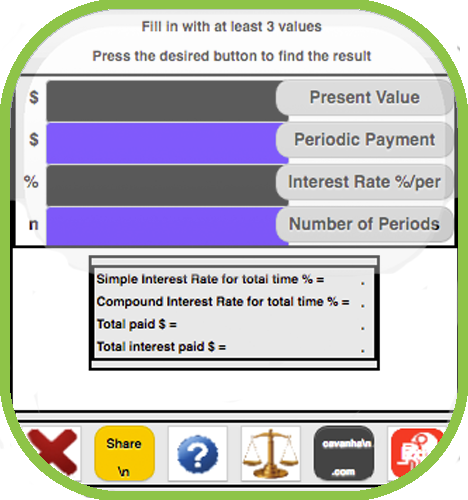 Fin is an all-in-one calculator for Interest Rate, Present Value, Periodic Payment and Number of Payments, created by Armando, a Brazilian engineer. by Arnav Sethi ¿Que llevo yo? 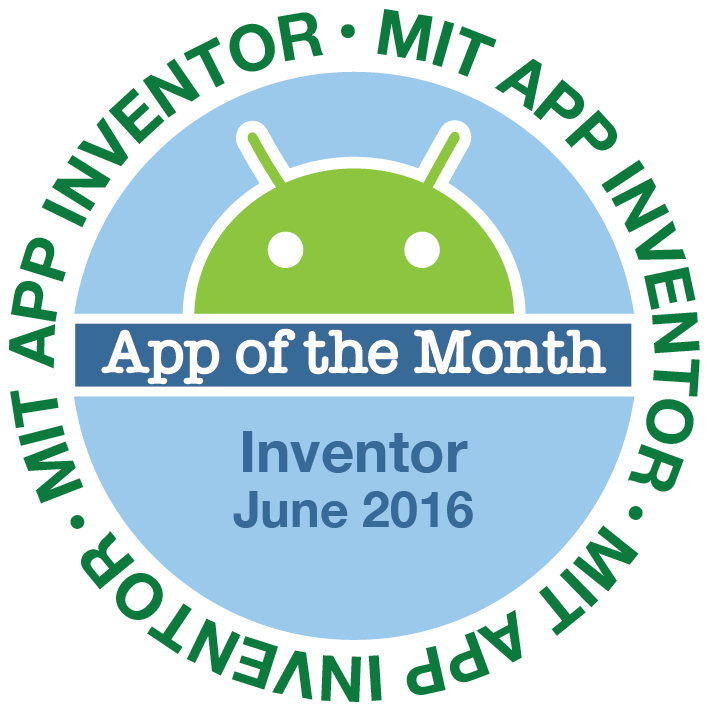 14 year old Arnav from India created a math app to test kids arithmetic skills. He built he app to help out the NGO where his mother works. 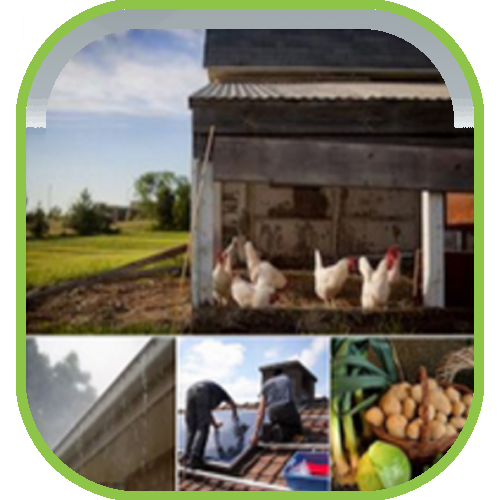 Planning a meal with family and friends? 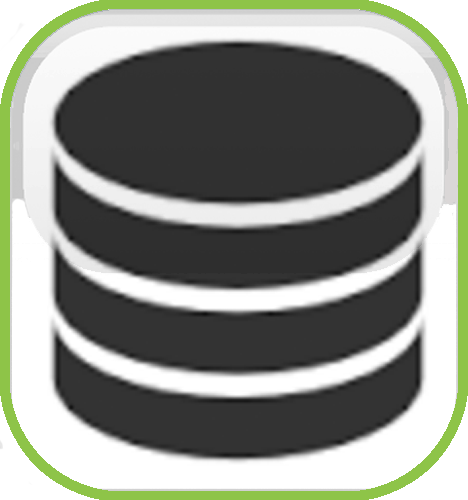 Spanish developer Gerard's comprehensive app makes the task easy and organized! 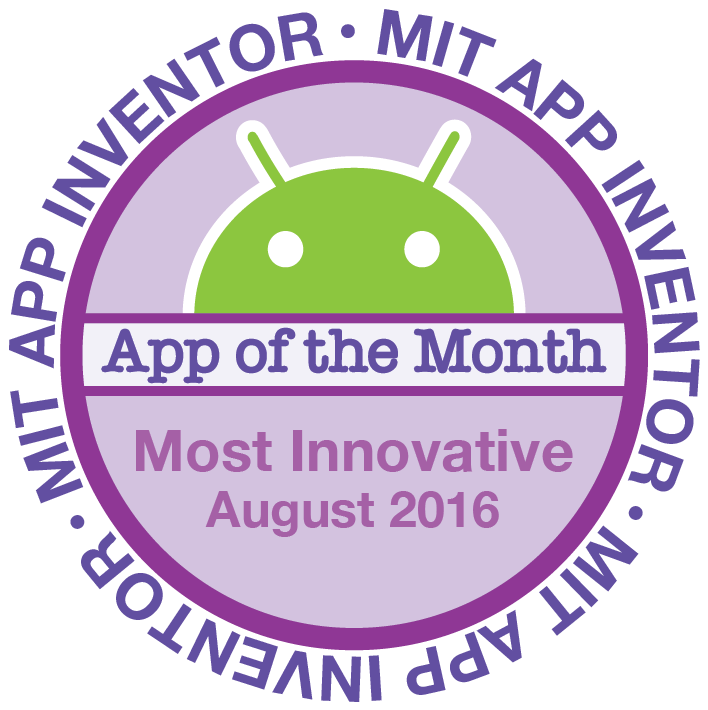 Congratulations to the August youth winners! 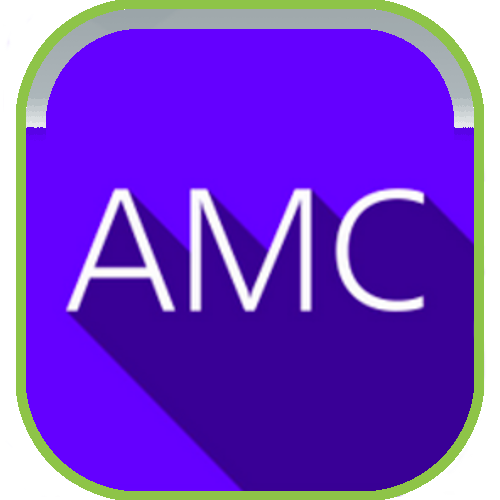 Necmettin, a past App of the Month winner, does it again with his excellent recreation of a classic game app. 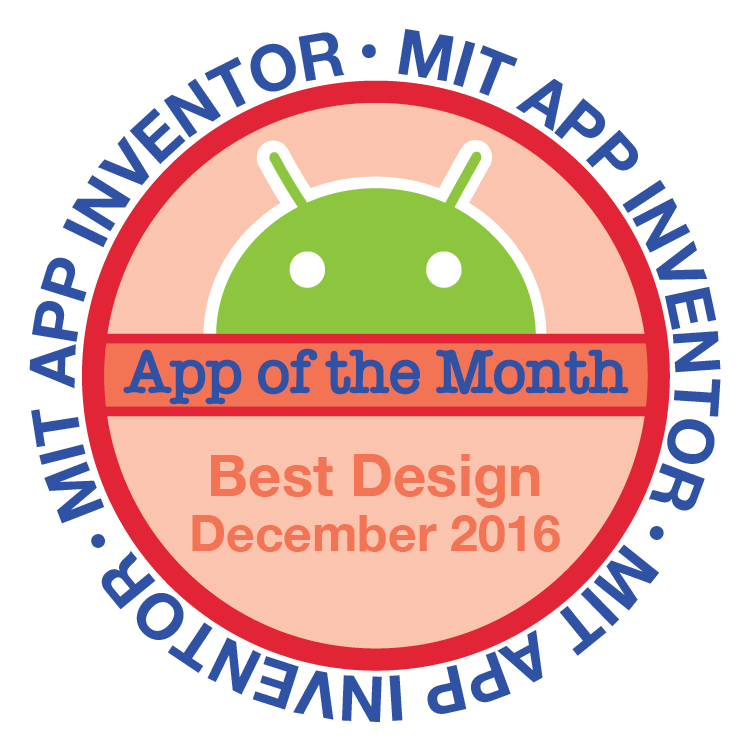 Gopi, whose ambition is to become a professional app designer, created a neat little app that plays a selection of his favorite songs. 15 year old twin brothers, Sahil and Saabir, collaborate on their expansive app that puts all your communication apps at your fingertips. 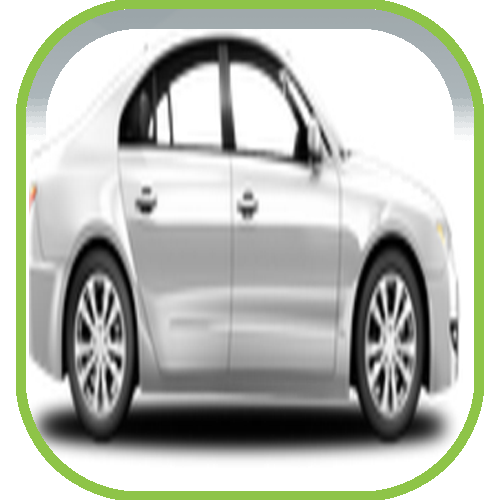 Pradeep, from India, a student majoring in electronics and communications engineering, created an auto reponse app with multiple and customizable messages. Congratulations to the August adult winners! IT student Christian from Ecuador has a future in app development. 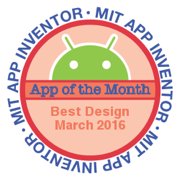 His app beautifully graphs many math and trig functions for viewing and analyzing. 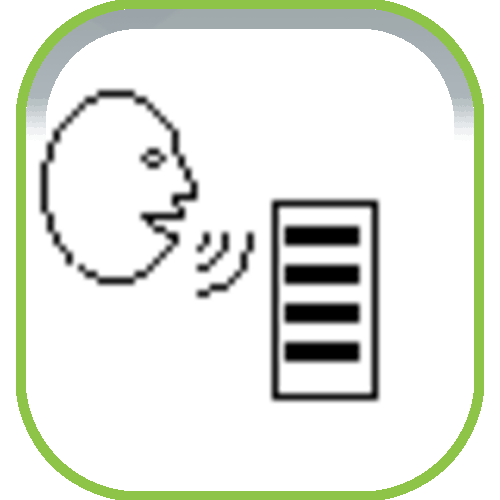 León's app, Tu Voz allows hearing impaired and deaf people to communicate with a simple and useful interface. León, an artist from Mexico, wants to contribute to improve communication and avoid discrimination. 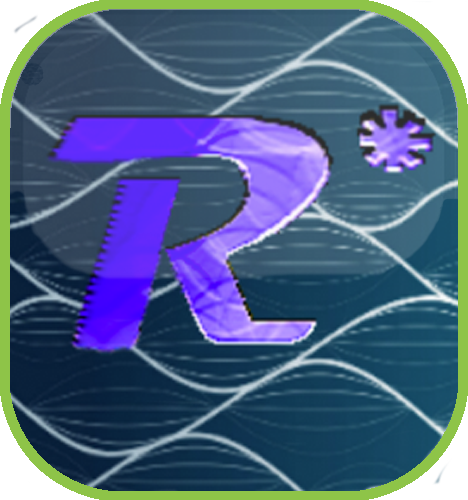 Cam Maker allows the user to calculate and represent rotating planar cams with linear follower mechanisms. Inventor Miguel, a Spanish Industrial Engineering student, has developed a new passion for app devlepment with this project. Ashok, a retired government worker in India, took up programming in his newfound spare time. 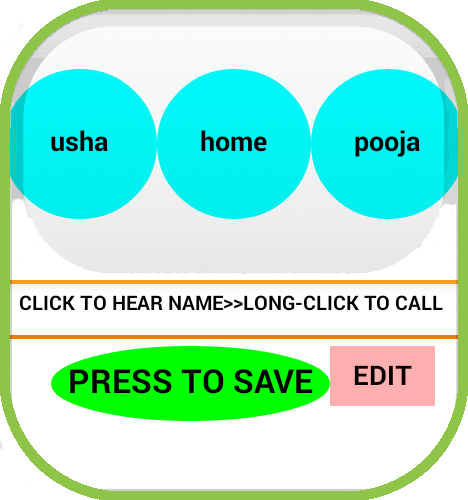 His app makes calling friends on the phone as easy as a single click! Congratulations to the July youth winners! 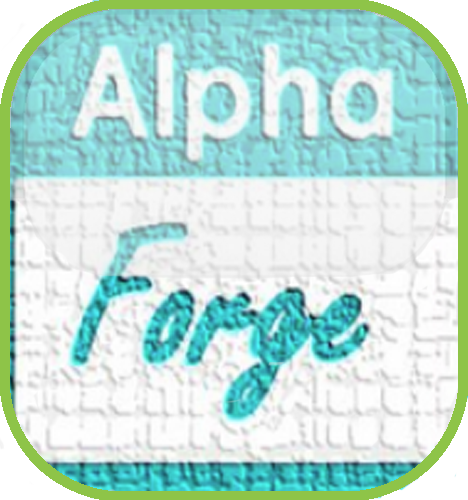 Martin-John, a student from Canada, made a fun, creative game app. Watch out, it can be addictive! 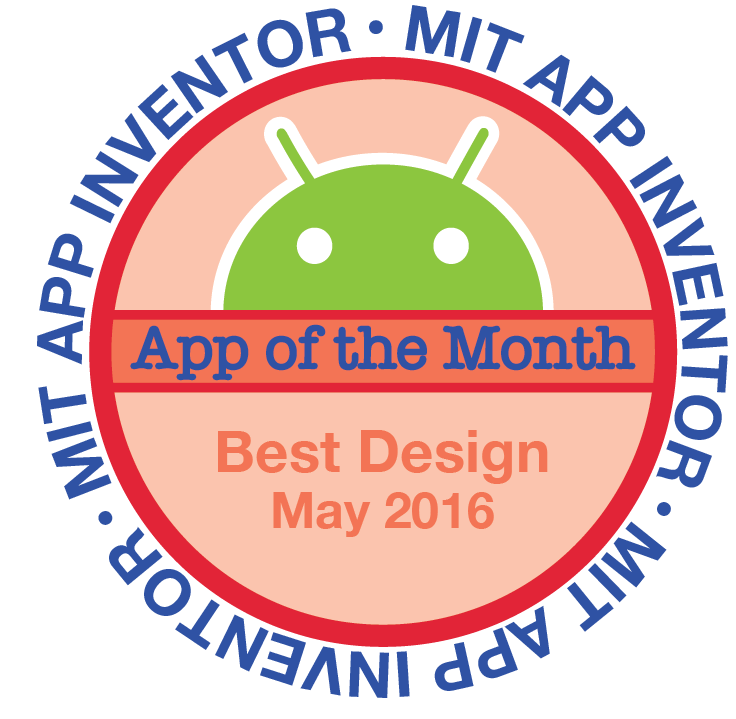 Ninth grade Indian student Mihir made a convenient app for hands-free texting. 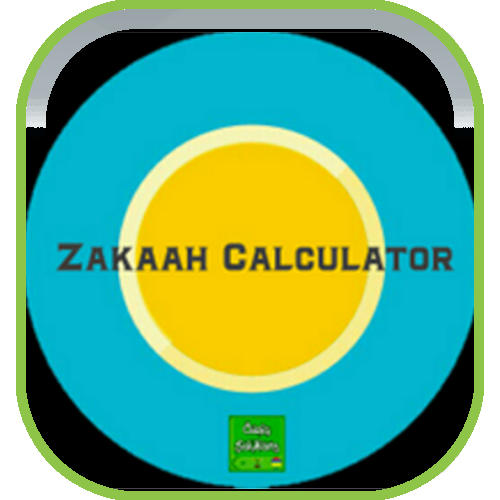 Janhangeer, from Mauritius, created his app that calculates Zakaah, one of the pillars of Islam. Zakaah is the contribution of one's wealth in support of the poor or needy . 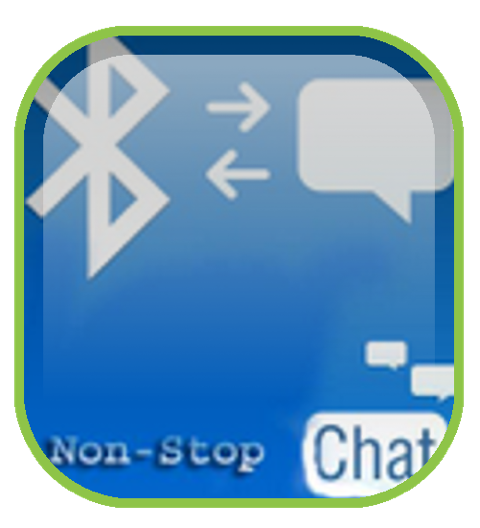 14 year old Sivarajan, from India, created this app with multiple ways to control an Arduino device through Bluetooth. Congratulations to the July adult winners! 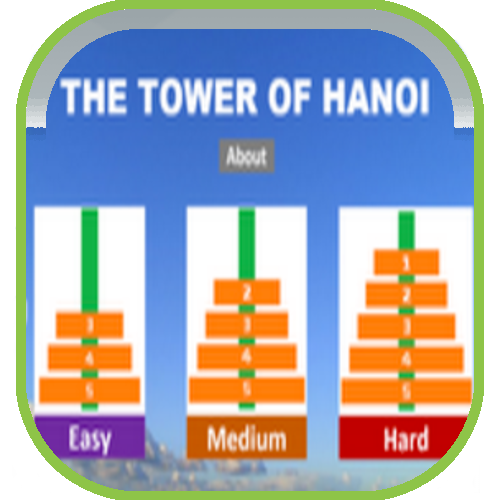 Khoi, one of the MIT App Inventor Master Trainers from Vietnam, recreated the famous Tower of Hanoi puzzle with his app. 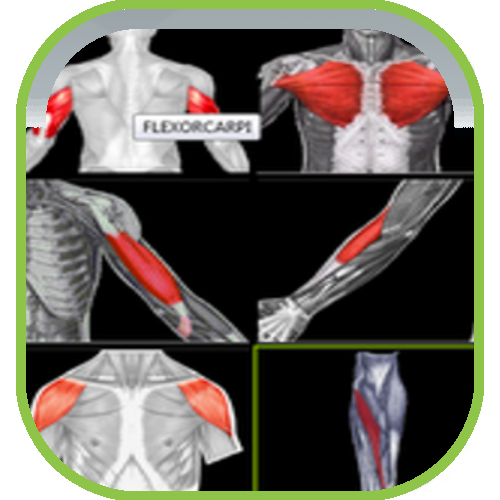 Anthony, a Canadian coding enthusiast, created this arm-focused workout app for the obsessive compulsive. 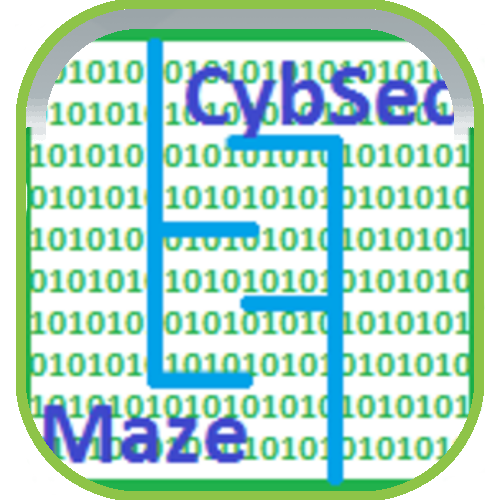 In this app, the hero sprite, Android, is guided through a series of mazes that also teach about cyber security. It was made by Kathleen, a Computer Science student from New Jersey Italian cook, known as Chiccovision, recreated a fun recall game. 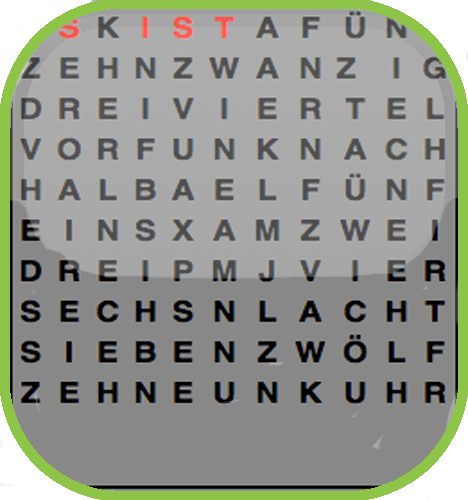 Guess which object appears in the scene and score points. Congratulations to the June youth winners! 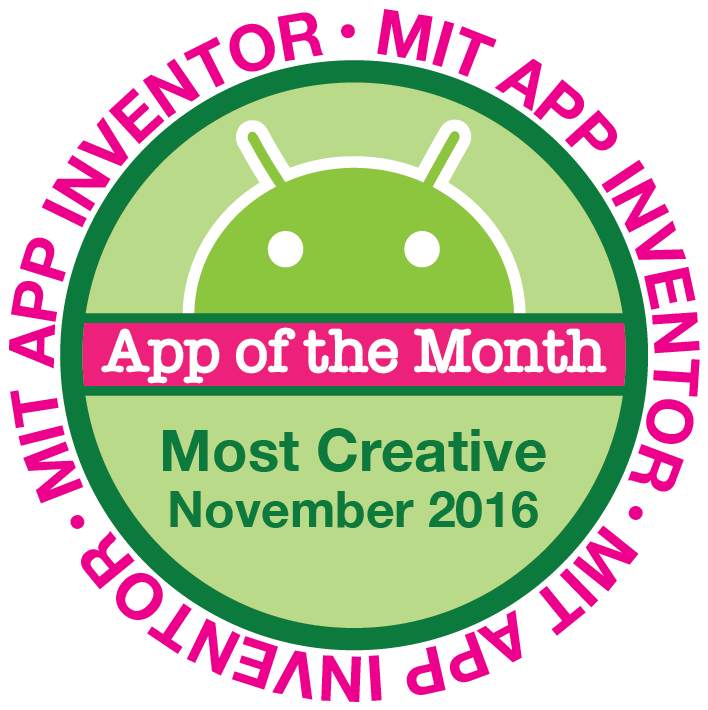 Three Italian students who call themselves the Scrapp Society made an addictive game with Twiddle. Try and beat it! 10 year old Sara from Romania is a musician and a coder. 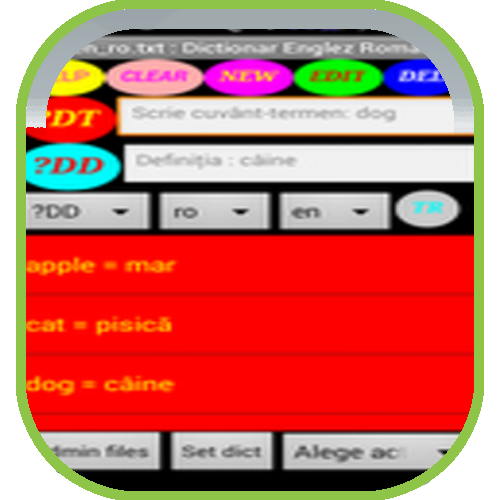 In her app, the user can select the dictionary, and can add new terms and definitions. 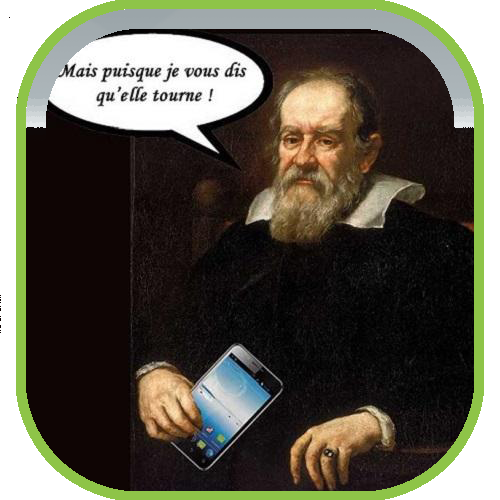 Five French students, 14 years old, wanted to prove that the sun is rotating around the earth, not vice versa. Their unique crowdsourcing app helps! Joseph, an American 8th grader, made a fun and colorful game where the user must dodge traffic cones in the street. Congratulations to the June adult winners! 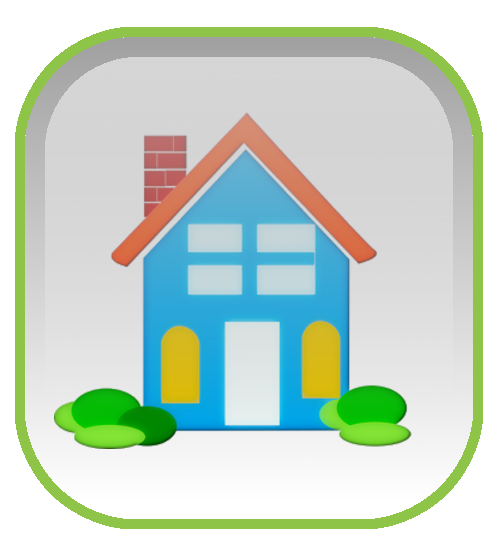 Stephanie, a Computing IT student in the UK, created an app to show people what to expect with some simple green changes in their house or garden. 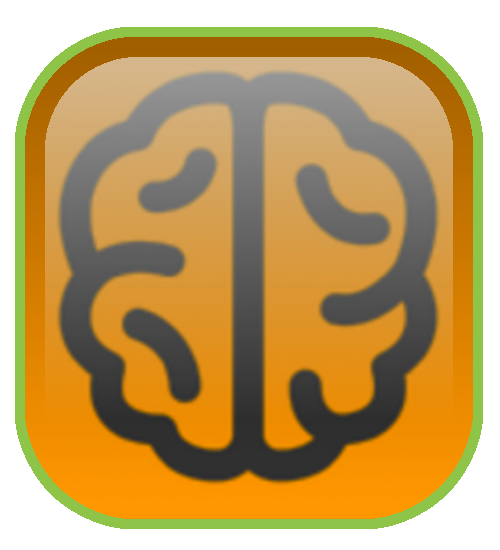 Do you find you can't remember anything? 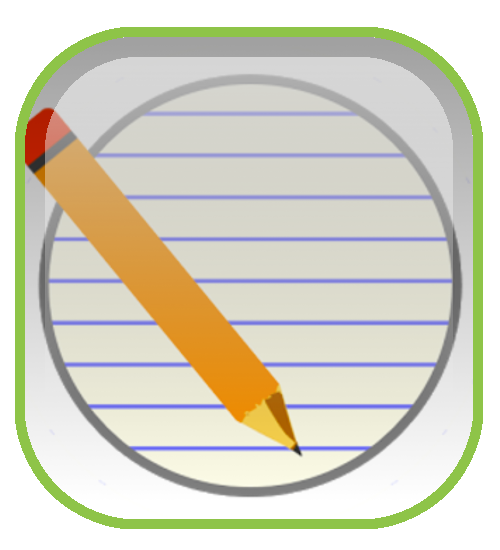 US retiree Mark created a great app where you create any kind of list just by speaking into your phone or tablet. The list can then be texted or emailed. 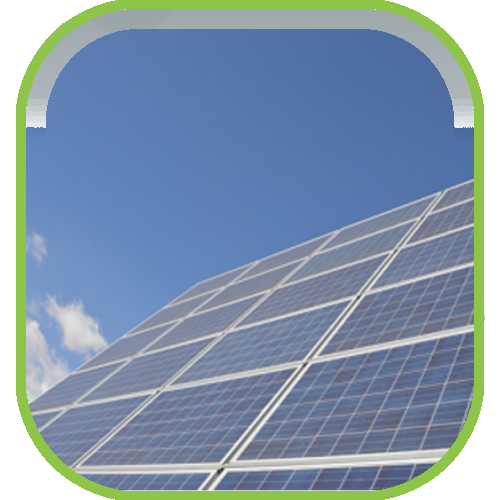 SOLARPE , by Spanish teacher Pedro, is a guide for the design and installation of Autonomous Photovoltaic Systems. 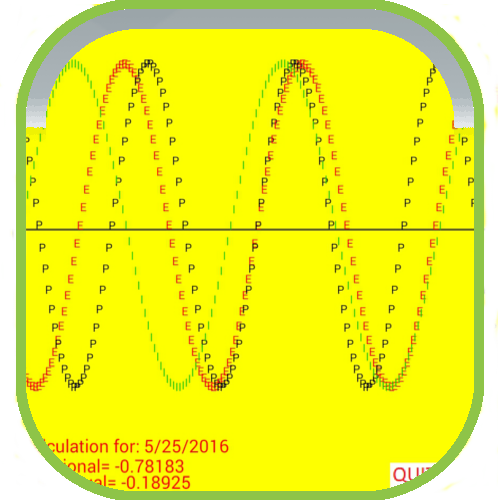 Tilt, orientation, and maximum solar height are just some of the many features calculated. 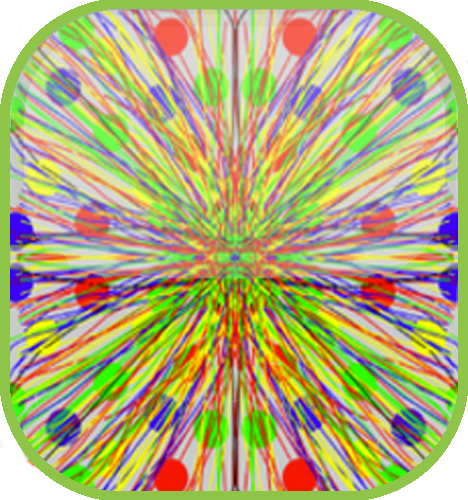 Mihajlo, from Serbia, created this brain logic game for his grandson. 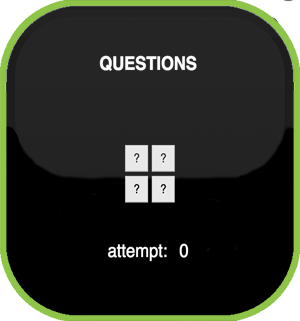 Like Mastermind, it tests the user's logical thinking skills to solve the puzzle of the four colors. Congratulations to the May youth winners! 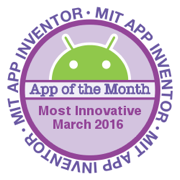 Necmettin from Turkey learned to code by learning App Inventor, bringing the classic game to the smartphone. 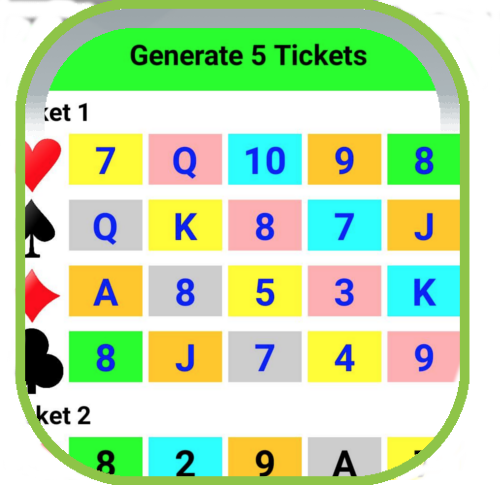 14 year old Anirudh created this app to generate five random Housie tickets (with playing card theme) at the touch of a button. US high school student Sabrina created an app that teens and other people new to the job world can use to ace interviews and make the best resumes. 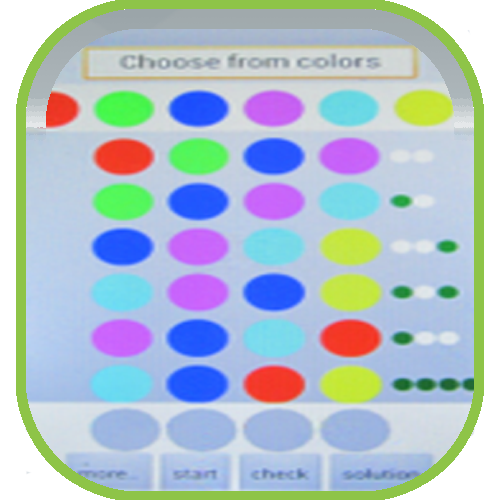 Another 14 year old, Aaditya from India, created a simple compass app which allows users to choose their favorite color compass and then use it. Congratulations to the May adult winners! 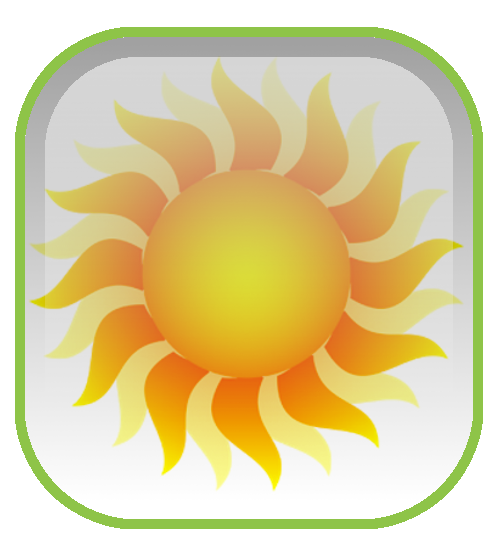 Retiree Barry Buehler created his app to provide the user with the fun of looking at a particular day and seeing how well the bio prediction matches their assessment of their status on any given day. Emmanuel from Mexico created his community-based app to allow society to demand better services and living conditions in real time. 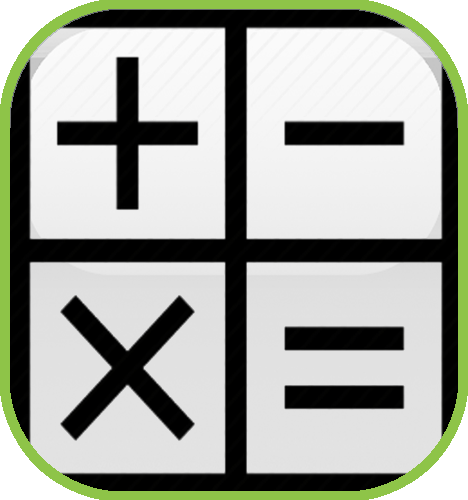 Learn multiplication in a new an unique way with Fatma's app. Varying levels, timing, and awesome animations and sounds make learning fun! 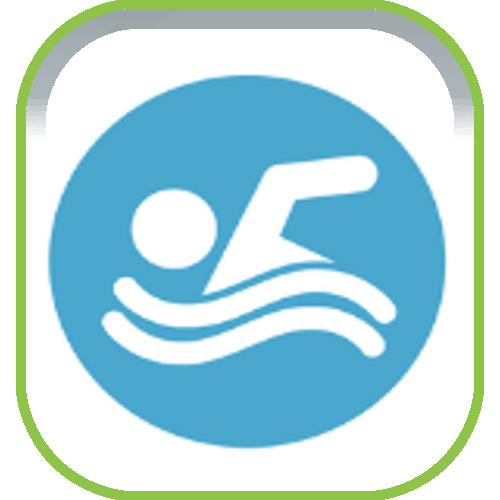 Alan's comprehensive app can be used to run a swim team's training session. 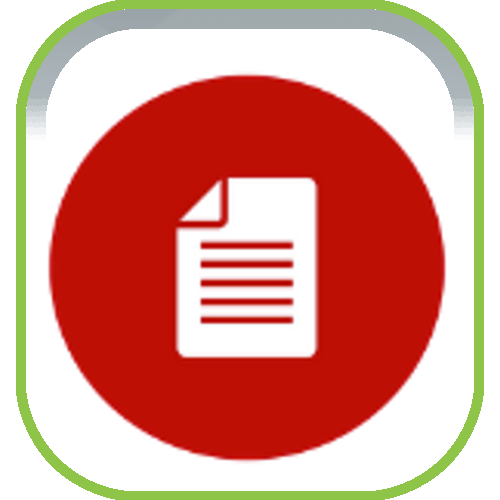 Users can set objectives, report sessions and incidents, risk assessment and reflection. Great tool for any swim coach! Congratulations to the April youth winners! 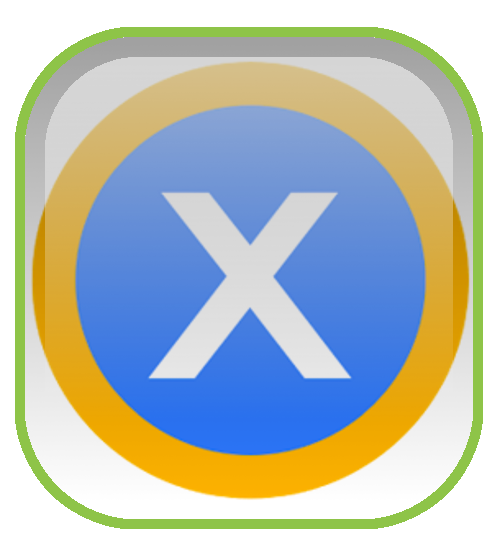 13-year-old Tyson Seable created this app, Multiplication Dash, so that children can learn about multiplication in a fun way! 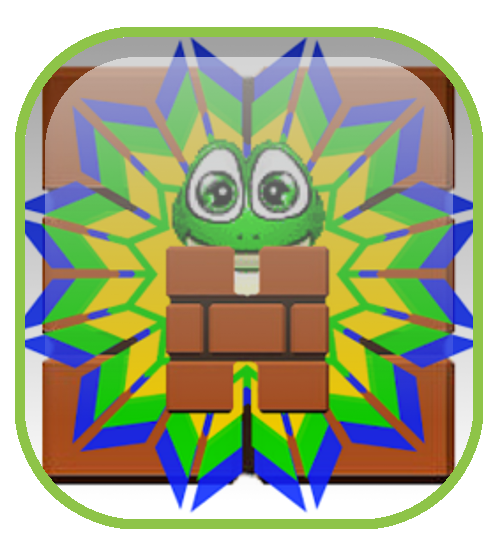 In this game, created by 19-year-old Fabrizio, you must guide the frog to avoid all the obstacles in its path! This game is all about recycling and cleaning up the earth! 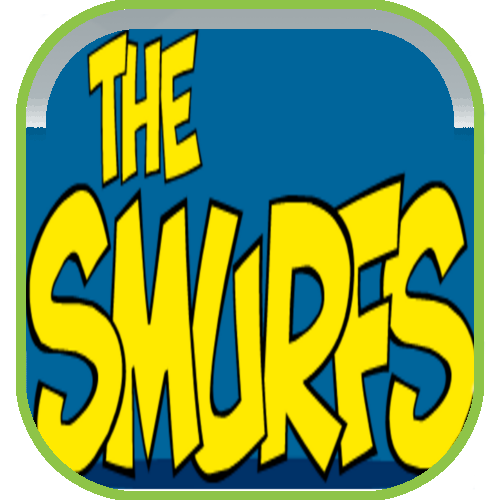 Play a character who recycles the trash they find on the street, and learn fun facts about being green along the way! 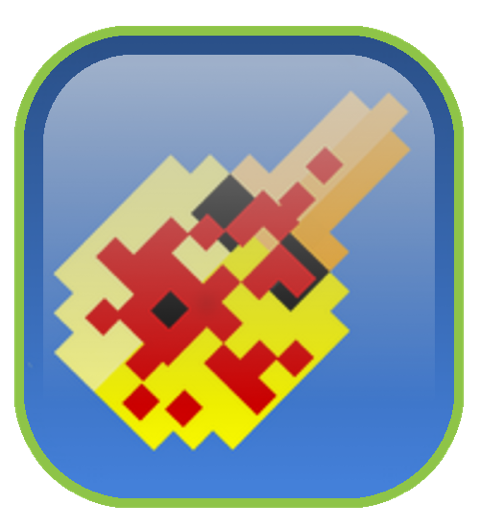 Try your hand at archery with this fun game! 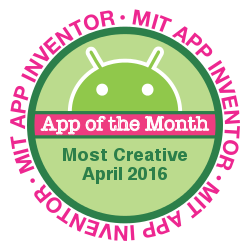 Congratulations to the April adult winners! 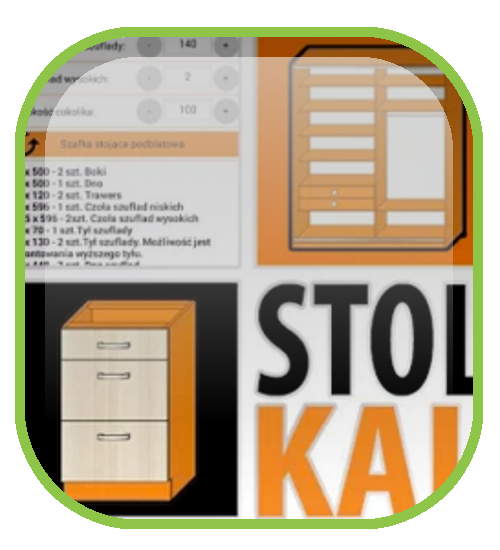 StolKal Meble is an app for carpenters that allows them to measure the materials they need to create different kinds of furniture. 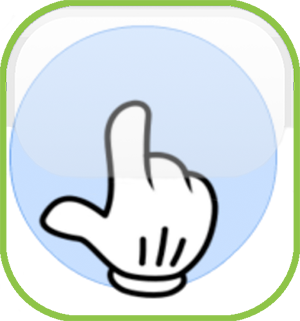 This beautifully-designed app was created by Marek Mitoński. 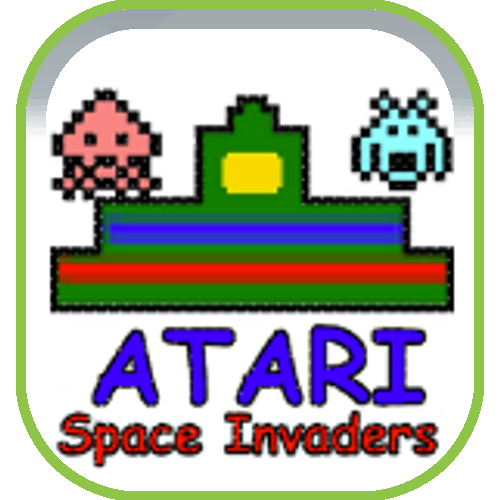 Renato Rodrigeus used App Inventor to create a modern take on a classic game! 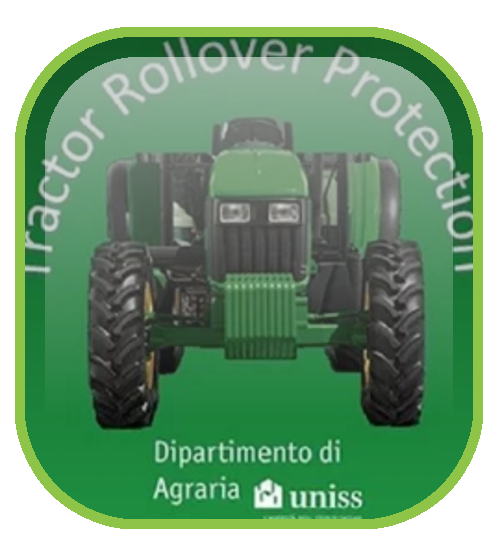 This unique app by Giovanni Chessa calculates the maximum ground angle that is accessible to a tractor driver. 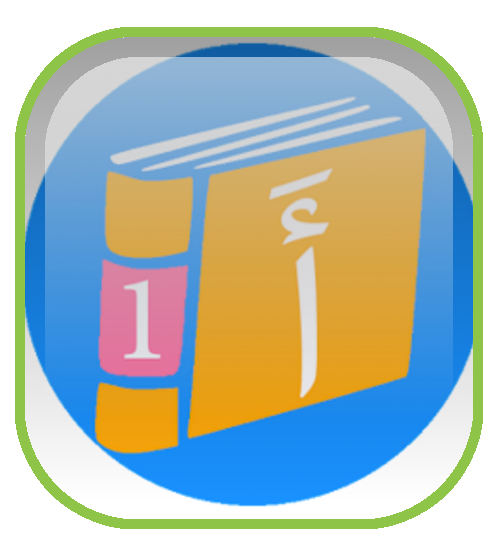 This is an educational app that allows children to listen to and read arabic words and draw their own pictures! Congratulations to the March youth winners! 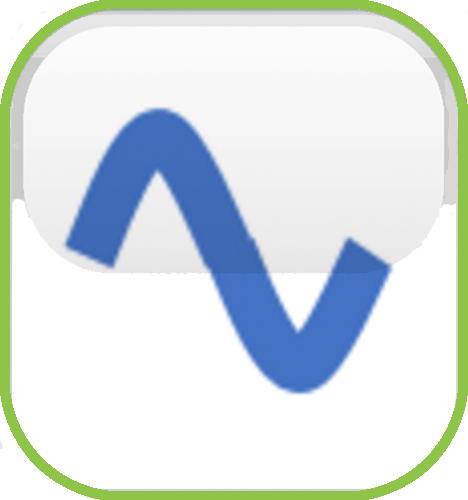 Gnose is a great student organization app whose main purpose is to use mobile technology to promote an improvement in learning and student mobility in education, through the use of a specific application and available resources. 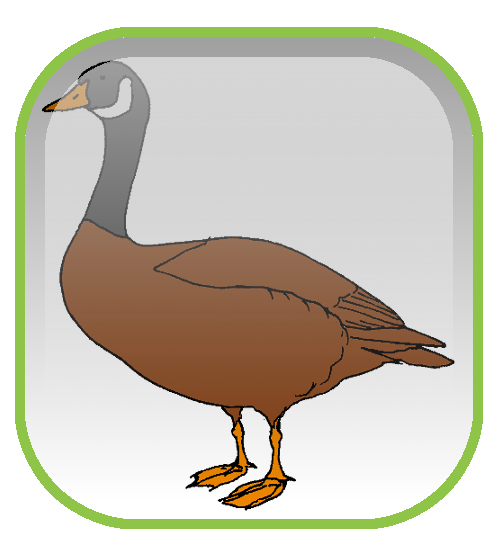 Duck Dash is a cool new take on the Frogger game, where ducks have to cross a river and avoid wooden planks. Great fun! 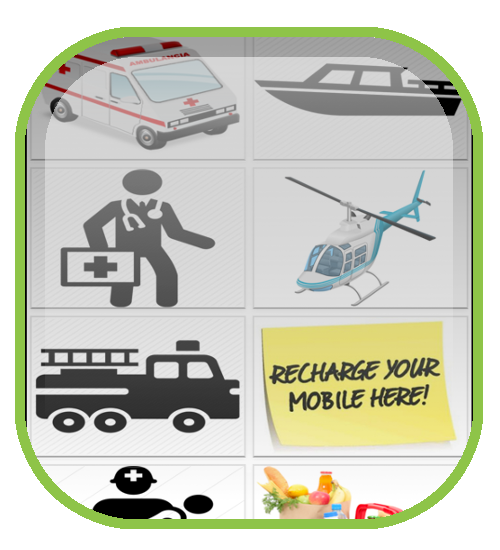 Anthony made the EmergencyTreatments app in response to his father's death from an emergency situation. 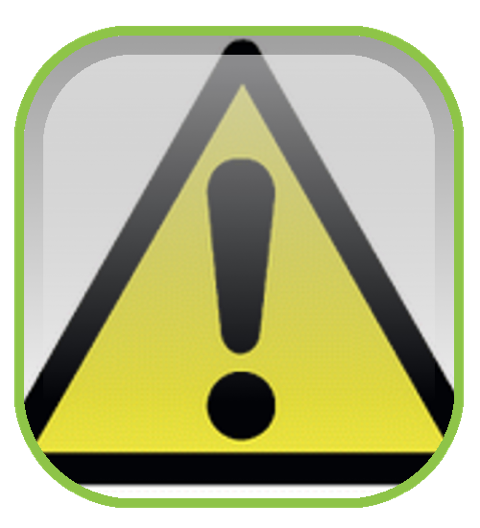 Hopefully this app can provide emergency information to prevent future deaths. 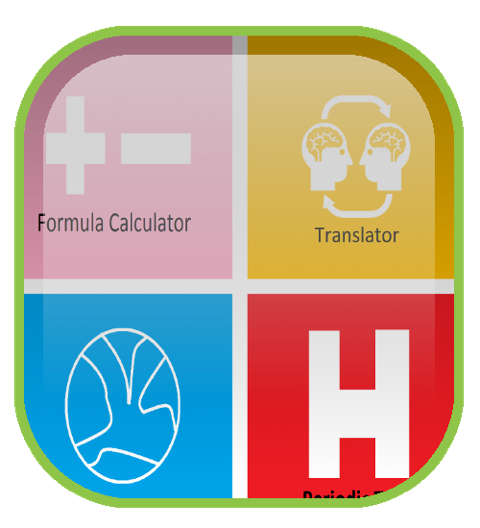 MyCompanion is a full-featured educational app that includes formula calculations, translations, a to do list, and a virtual periodic table. 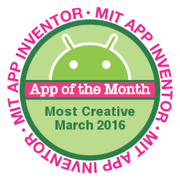 Congratulations to the March adult winners! 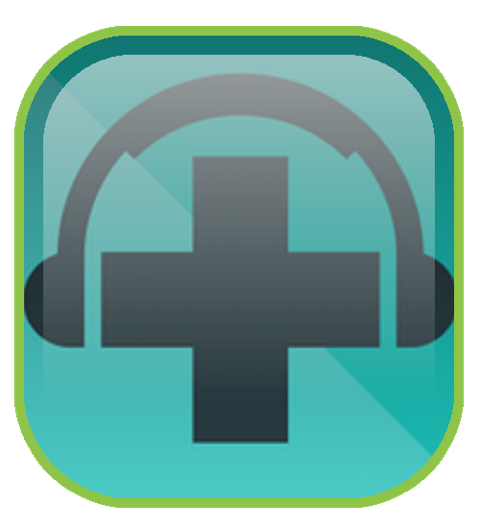 Music for Sound Health allows the user to listen to various relaxation sounds, with the added feature of overlaying sounds to create a soothing listening experience. 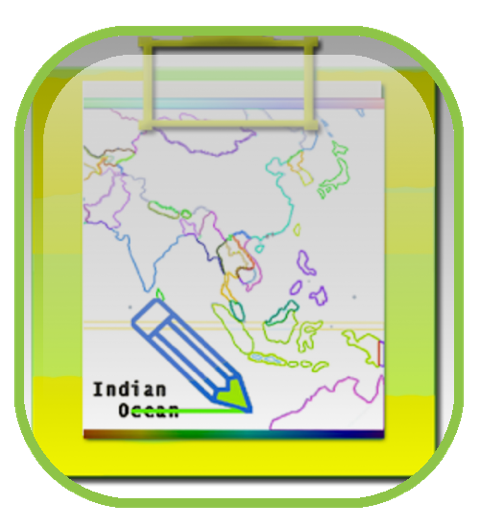 When her search for a map drawing app turned up no results, Uma Bhat decided to create her own app, where the user can draw and trace maps, and add notes to each map. Monika Kumar, a self-described determined girl who loves to code, created an app for free chatting between friends over bluetooth. 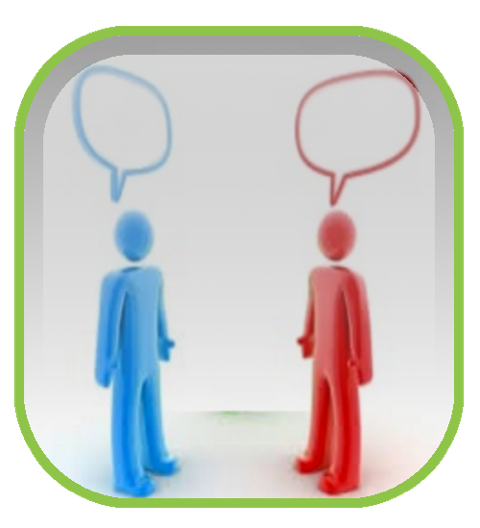 Speeching is a nicely designed translation app, where the user can translate phrases in different languages. Congratulations to the February youth winners! Get Running! 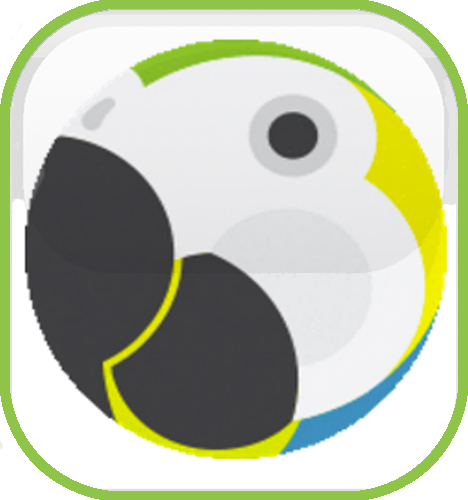 is an app that allows the user to keep track of their exercise time and quickly switch between different exercises without having to constantly check their phones. This app was created by 15-year-old Ishan Vermani! 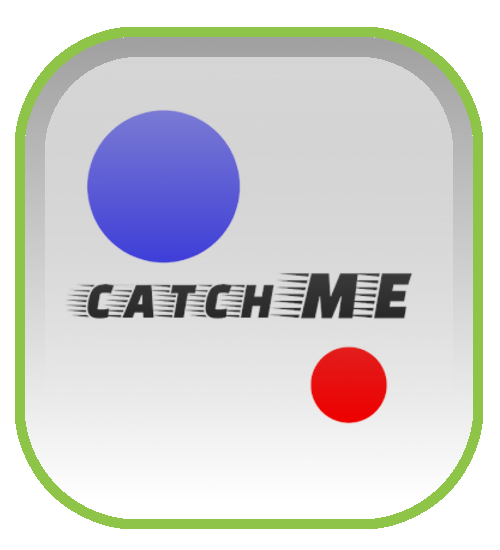 CatchMe is an addictive game created by Larsen Cundrič from Slovenia! 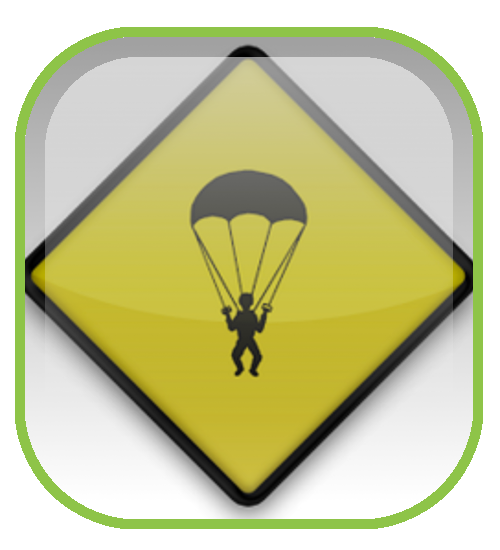 CatchMe is fun to play, but it also allows you to earn points and spend them on cool upgrades! 11-year-old Emma Yang created this innovative app, which helps the user look for signs of a concussion and allows them to log the progress of the patient so they can easily report information to parents, doctors, and coaches! Jarvis is an artificial intelligence app created by 15-year-old Jeremy Humphrey! 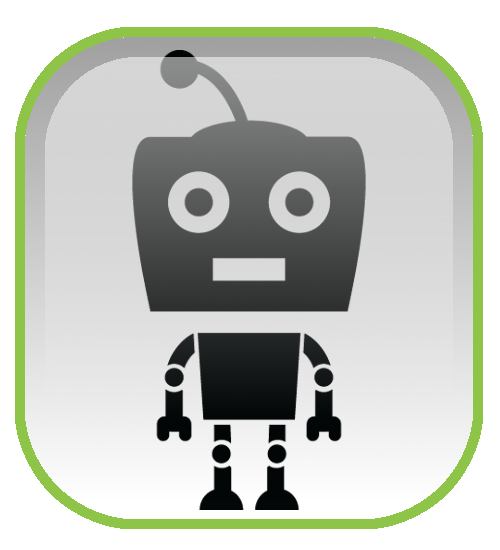 He created Jarvis to help him keep track of things in his life, and it also answers a wide variety of questions! Congratulations to the February adult winners! SUN City Radio is an app that tries to spread awareness about the environment and encourage people to plant trees through the radio! 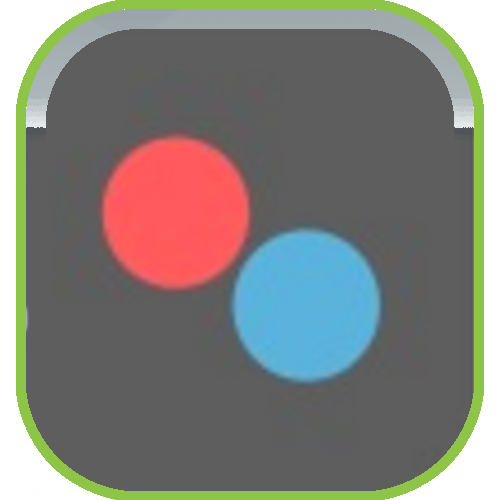 This app was created by Syed Abdul Rahim, a civil engineer from India! 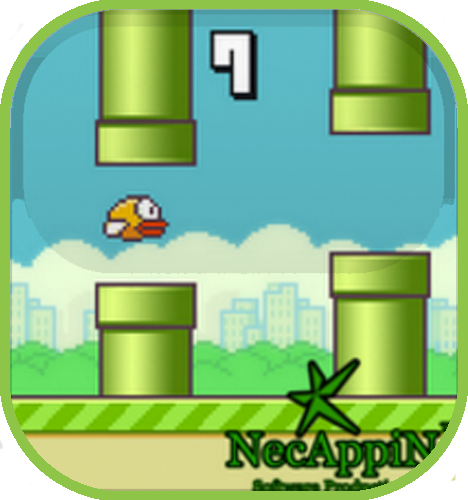 Unroll the Escape is a fun game created by Helwys Gonzalez Lorenzo, a student from Canada. 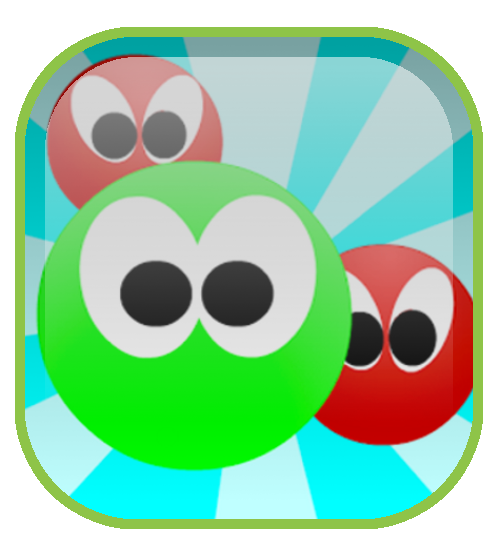 In this app, you have to direct a ball around a series of obstacles to reach the exist. 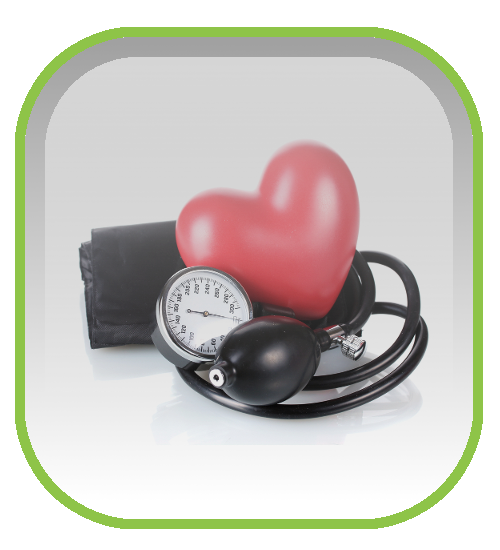 The Blood Pressure App, created by Brandy Robinson, allows users to log their blood pressure along with their dietary and exercise habits. 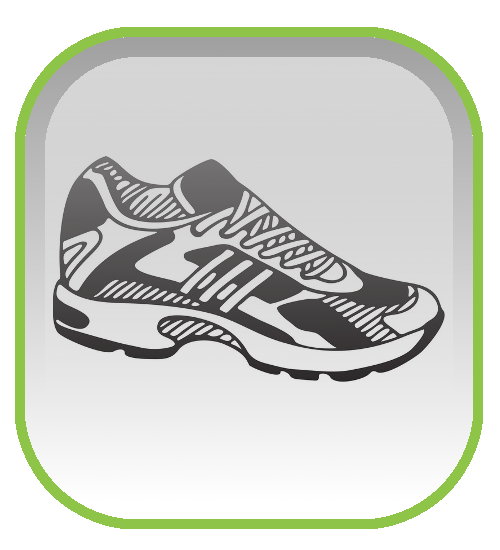 The goal of this app is to help people lead healthier lives! 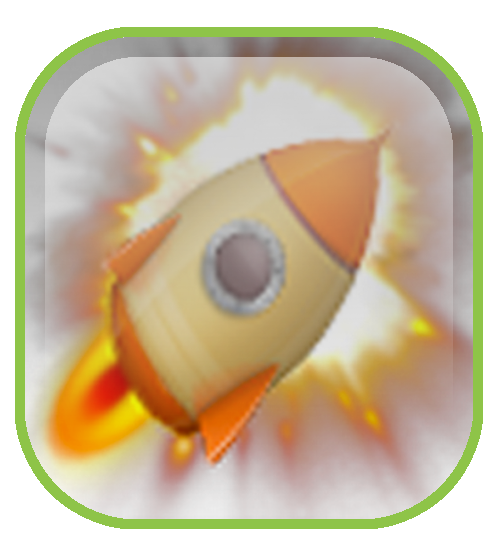 MathAttack is a creative game that aims to teach math in a way that is fun and educational! 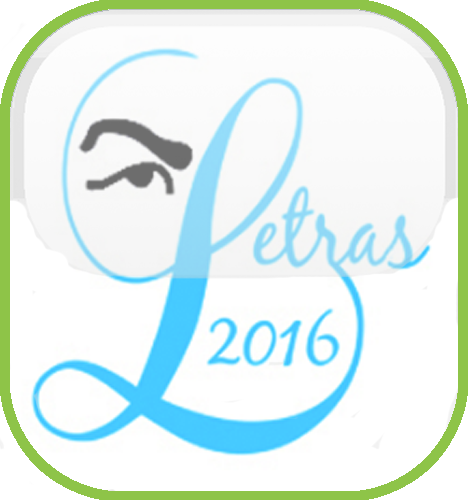 This app was created by José Gomes de Paula Neto, who is a student from Brazil! Congratulations to the January youth winners! SpiritWheel was created by Markus Vinsa, an 18 year old student from Sweden who has been using App Inventor for less than a year! This beautifully designed app encourages people to donate to charity by having them pick an organization from a rotating wheel. 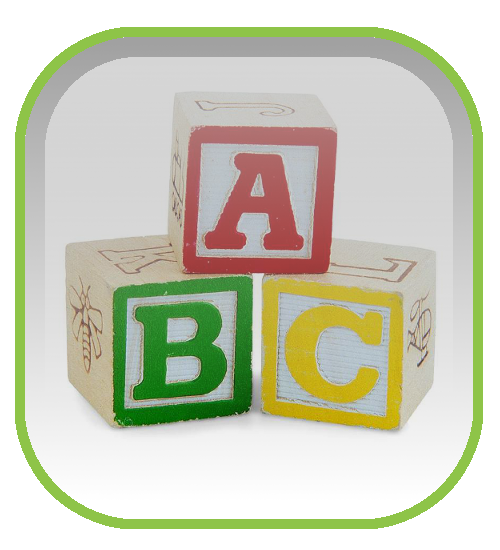 ABC Edu is a creative app that uses sound to teach young children about letters! 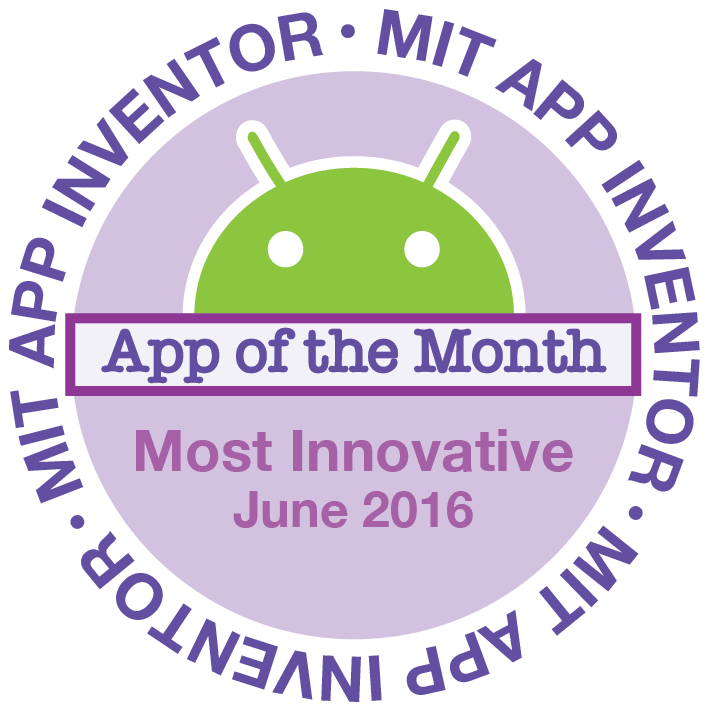 It was created by 11-year-old Sarika Pasumarthy, who has been coding since she was 7! BarCode alarm was developed by Kee Qian Ling and Fion Yao, 16 year old students from Singapore! 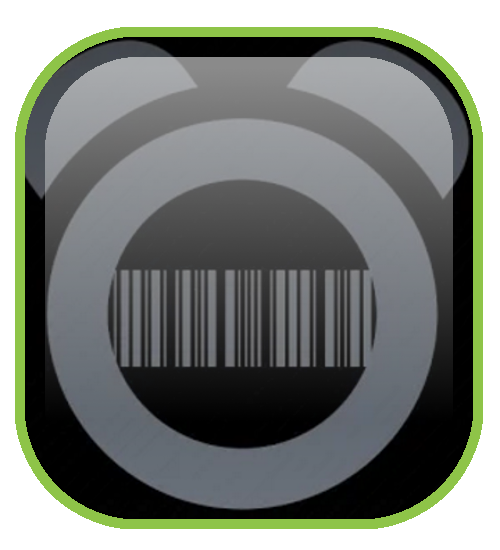 This innovative app forces the user to scan the barcode of a random item in their house in order to turn off the alarm! After the floods in Chennai, India, Chinmayi Ramasubramanian, who is 10 years old, decided to create an app that would help. 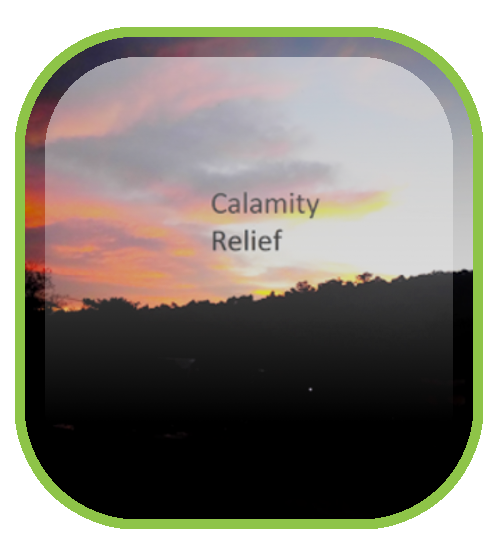 CalamityRelief gives the user information on how to help those who are effected by a natural disaster, as well as items that should and should not be sent. Congratulations to the January adult winners! 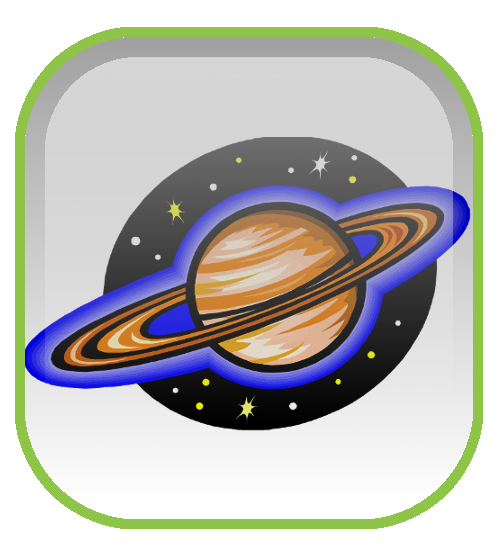 Make Own Bedtime Stories, a creative app that allows the user to select from a variety of locations and characters to create their own custom bedtime story! 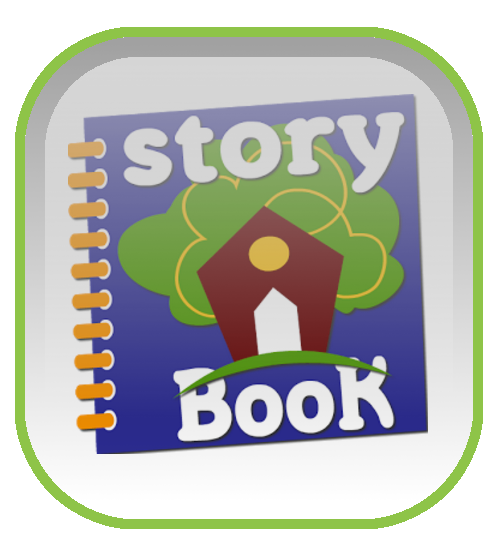 The app will even read the story to you, complete with animations! Lucas Ferreira, Alan Souza, Rodolfo Martins, and Rafael de Souza, all young computer scientists from Brazil, have come together to create Control Books, a new book cataloguing app! 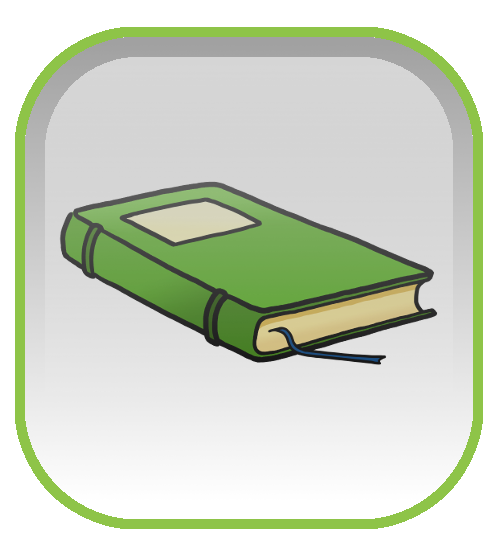 It allows the user to keep track of a wide range of books, request books that aren't available, and text each other when the books are available. 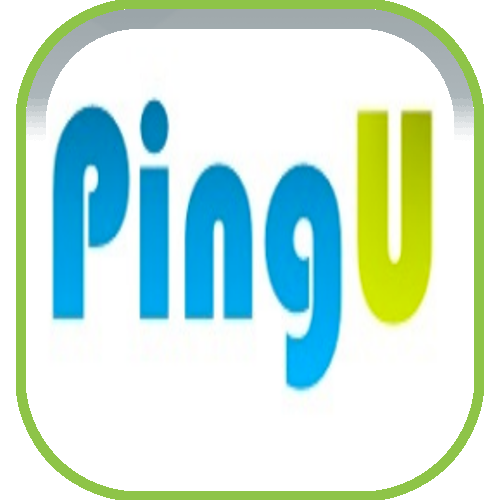 Rajesh Kumar, a college student from India, created this app to help the victims of the Chennai Flood. 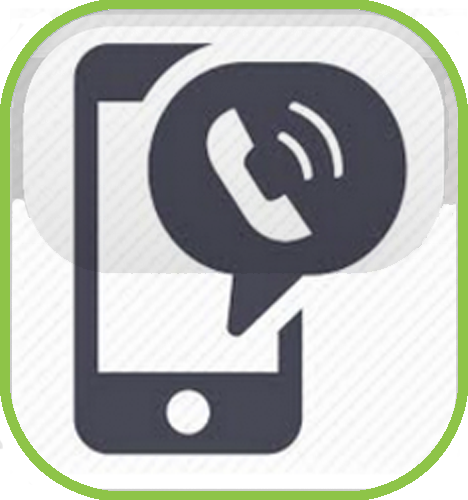 Chennai Flood Help aggregates the contact information of the people affected by the flood, making it easier for them to be contacted by concerned relatives and relief organizations.